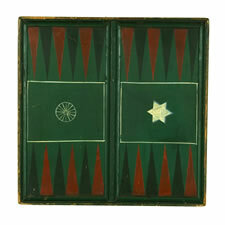 Found near the town of Milford, in the northeast corner of Pennsylvania, is one of the best painted backgammon boards that I've ever encountered. 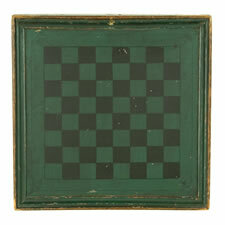 Made ca 1870-1880, this is an unusually heafty example with beautifully cut molding, desirable graphics, and great color. In the center of the left and right panels are medallion images of a wagon wheel and a Star of David. 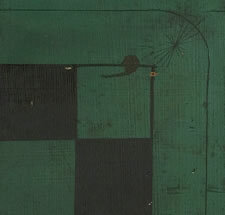 The background is a strong forest green, while the triangular spaces (points) are black and white. 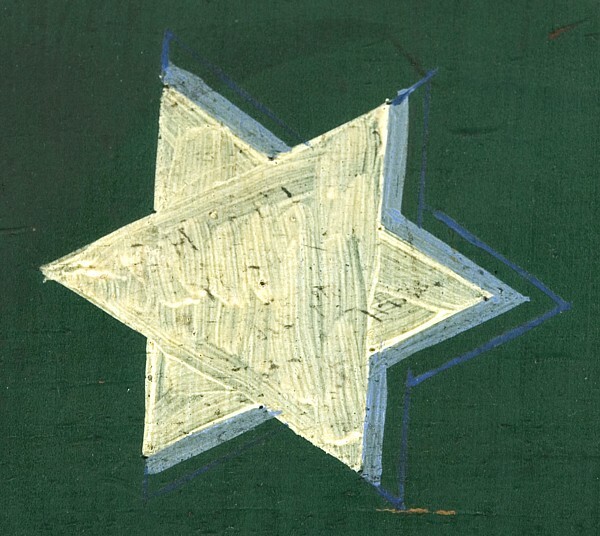 The wagon wheel is white and the 6-pointed star is white with Robin's Egg blue shadowing. 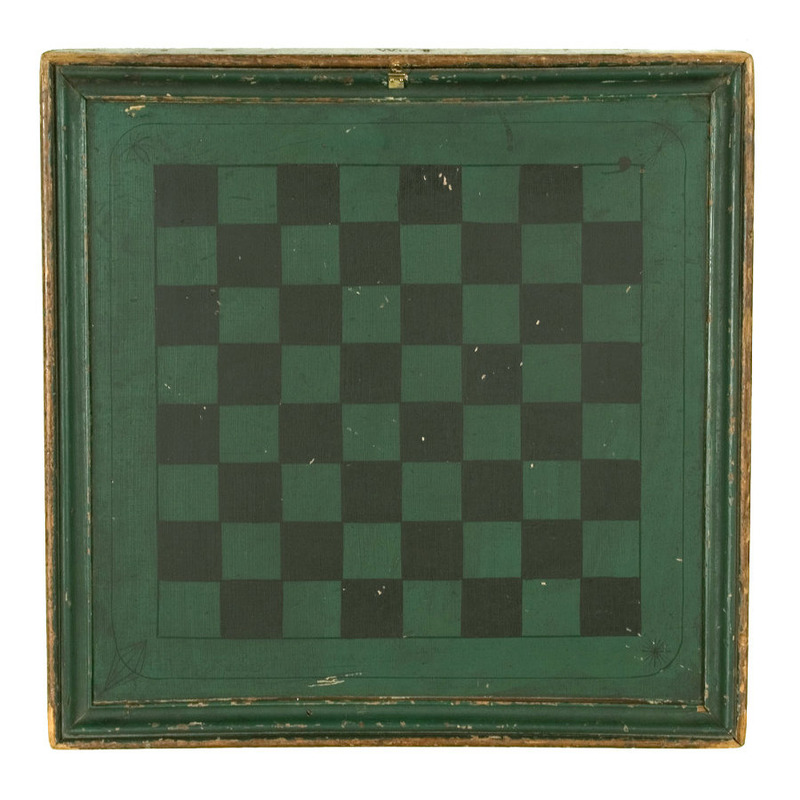 The reverse side of the board is checkers, relatively simple, but more eloquent than most with fine, decorative pin-striping. 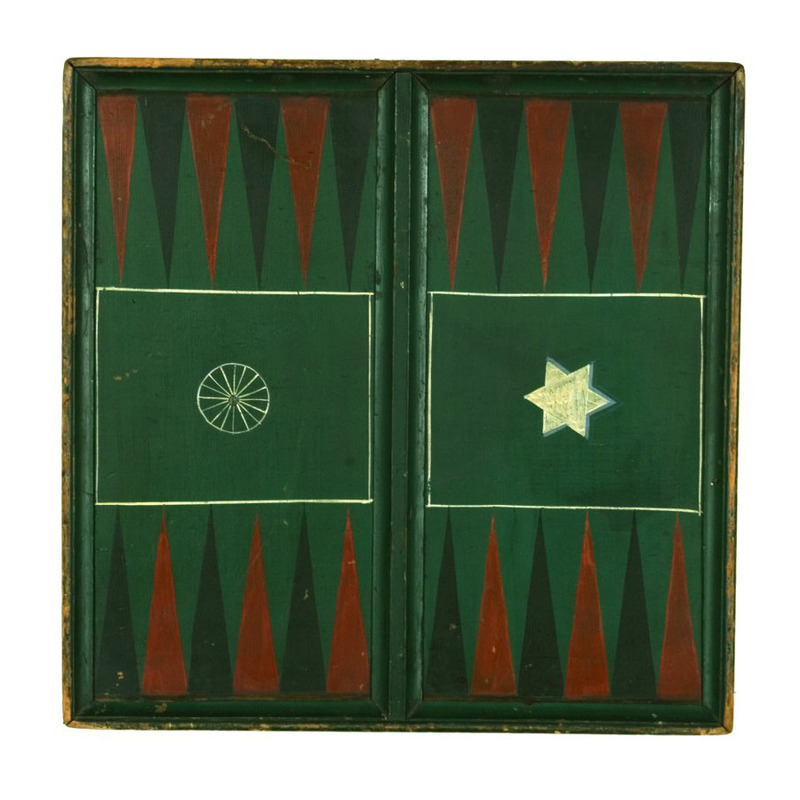 The deep molded edge (both sides) is especially well done, as-is the matching center divider on the backgammon side, all of which adds architectural dimension. 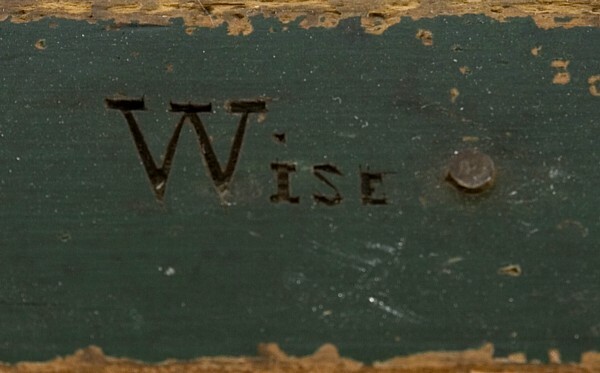 The name "Wise" is etched on the outside edge of the molding along one side. 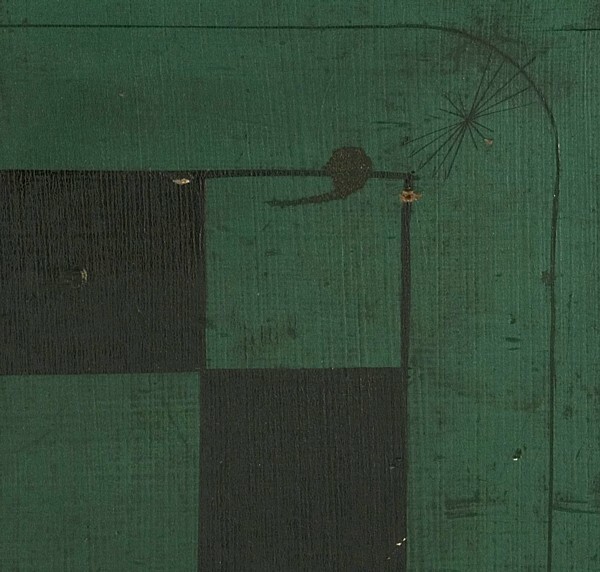 This was evidently the owner of the board, the maker, or both and, since this feature is absent in most examples, the signature adds a level of interest. 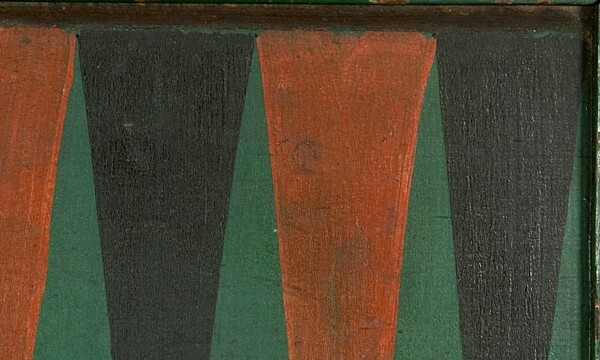 In all respects, this is an outstanding paint-decorated object with uncompromised surface.